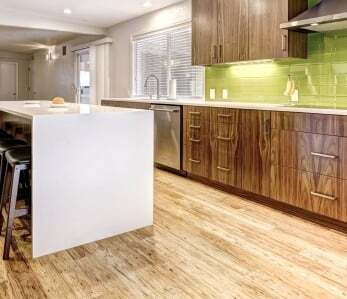 Home › Flooring › Installing Bamboo Floors Near a Heat Source or Stove? Read this. Installing Bamboo Floors Near a Heat Source or Stove? Read this. When you choose bamboo flooring for your home, you want to be sure that it will look its best no matter where you put it. That includes around heat sources like wood stoves, pellet stoves, and fireplaces. 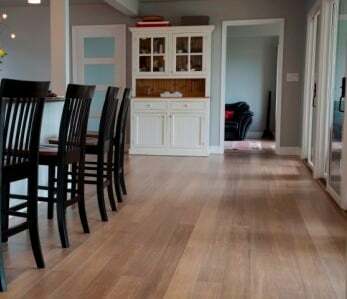 Is your bamboo flooring going to look its best even if you install it around a wood stove? There are some things to take into consideration. What happens when hardwood or bamboo flooring is installed too near a heat source? By taking care with how you install your bamboo flooring, you can help protect your floors from damage and keep them looking better long-term. That may mean keeping your bamboo flooring away from extreme sources of dry heat, including fireplaces and wood stoves. So how do I install bamboo flooring and keep my wood stove? 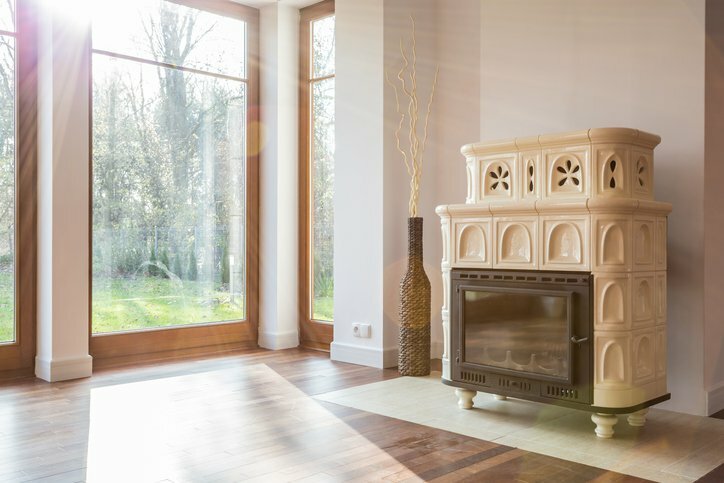 If you have a wood stove or fireplace and wish to install , consider a different type of border or “apron” around the heat source that will protect your bamboo flooring from direct exposure to that heat. This border should be at least 18″ wide all the way around the heat source. Appropriate borders for use with your bamboo flooring include tile and stone. By using this border, you’ll protect your wood flooring and prevent excessive drying, allowing your flooring to maintain its natural beauty for years to come. How do I measure this gap when purchasing bamboo flooring? If your room has a fairly straightforward layout, it’s relatively simple to take out the 18″ border around your fireplace or wood stove. Simply start the tape measure at the heat source and extend it out 18″ from there. If your apron is square, the corners may be farther away than the rest of the border, this is even better. You can also add a or t-molding to transition between the border surface and your bamboo floor. Remember that you’ll still need an additional 10% of your flooring in order to account for cutting and waste; adding a gap in your room means additional cuts to the flooring, which can lead to the need for additional boards. What other problems does bamboo flooring have with heat and humidity? Wood flooring naturally expands and contracts with changes in the weather. While this is not considered harmful, exposure to extreme temperature changes–like, for example, the ones that might be experienced around a wood stove or fireplace when you turn on the heat for the winter–can cause your wood floors to become damaged more quickly and reduce their usable life. Installing a border around these key areas can significantly help! Installing a humidifier or dehumidifier, especially if some months in your city are considerably more humid or dry than others. Installing a thermostat that will keep your home, especially the rooms that contain bamboo flooring, at a consistent temperature year-round. Keeping your heat or air conditioner running even when you’re on vacation. 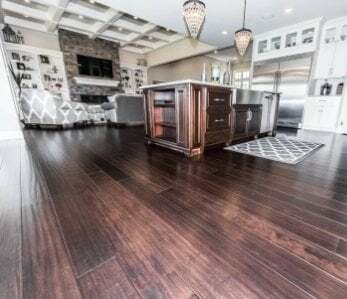 You don’t have to keep it set at exactly your usual temperature, but ensuring a consistent temperature throughout your home will extend the life of your bamboo floors. Keeping heat running in a seasonal home even if you’ll be spending your winter elsewhere. This is an added expense in your budget, but it will also help extend the lifespan of your home. Give your bamboo flooring time to “acclimate” to the temperature and humidity inside your home before installation, then keep it consistent. This is particularly important if you install it at a time of year when temperatures outside are extreme and you are relying on indoor air conditioning or heat to keep a reasonable temperature. 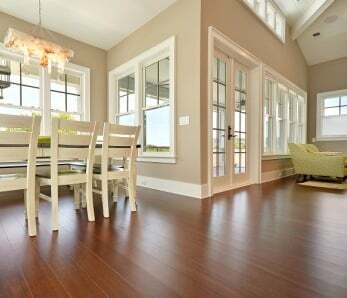 When you install bamboo flooring in your home, it’s important to pay attention to the manufacturer’s recommendations. Most wood floors will naturally shrink as the temperature and humidity drops and expand as temperature and humidity increases. While there are gaps left at the edges, usually covered by baseboards, those gaps may not be enough to keep up with extreme changes. As a result, you need to know what temperature and humidity levels are recommended by the manufacturer for your specific flooring so you can maintain your warranty and keep your home looking its best. 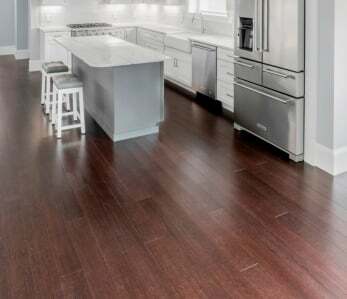 ‹ What Types of Rugs, Pads, and Mats Are Safe for Use on Bamboo Flooring?